30 selected students participate in monthly Leader Labs using unique CURRICULUM TECHNOLOGY with a faculty leader to gain insight and principles, then involve hundreds in their school and IMPACT THOUSANDS in their community! We engage students where they are with what interests them. Through a combination of inspiring storytelling and technology, we create compelling ways for students to re-imagine leadership and what is possible. We expose students to new and unique ideas and insights. Positive stories of impact are all around us. We bring these stories to light through monthly Leader Labs that highlight inspirational and informational ways to make a difference. We equip students with tangible tools for their leadership journey. Ideas demand action and we know our students have the ability to change the world. Our approach helps put students' ideas into practice to positively impact their local communities. "You can succeed at almost anything for which you have unbridled enthusiasm." "Success is not final…Failure is not fatal... it’s the courage to continue that counts." "Dream up the kind of world you want to live in. Dream out loud." "I think a hero is an ordinary individual who finds the strength to persevere and endure in spite of overwhelming obstacles." "It’s out there, waiting for you — your Wow Project. All you have to do is find it." "What if Michael Jordan had quit? Then we wouldn’t have Space Jam. And I love Space Jam." Each month, a Leader Lab focuses on a core leadership principle. Each lab includes a video-driven curriculum and an appropriate activity for fun, engaged learning. Students, if your school is already a part of Chick-fil-A Leader Academy, click here to apply to be a part of the program! 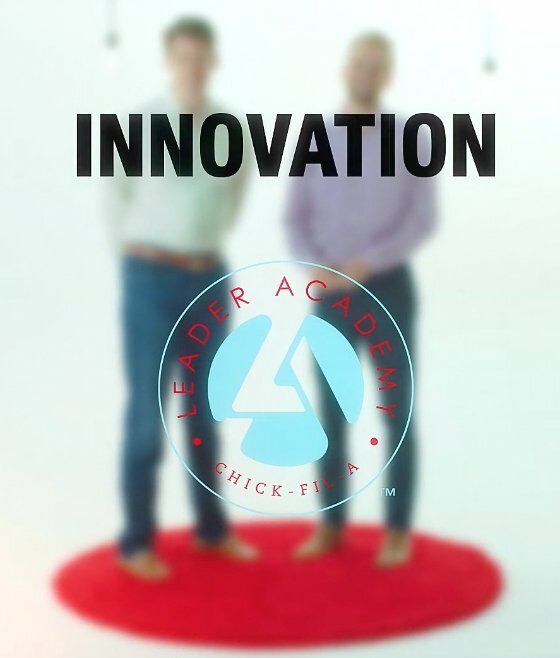 Interested in bringing Chick-fil-A Leader Academy to your school? Click here to get in touch with us! Thank you for your interest in Chick-fil-A Leader Academy! Fill out the form below, and we will contact you. What happened? Think in terms of impact. For instance, tell us your story by thinking of the impact made in a community, on a person, or the impact the program has had on you or somebody you care about.